How about Formula E? The official car has just been revealed. Electric Motor by McLaren, Williams [F1] batteries, assembled by Renault, and from what I gather, named by Chrysler, it's the SRT_01E by Spark-Renault. 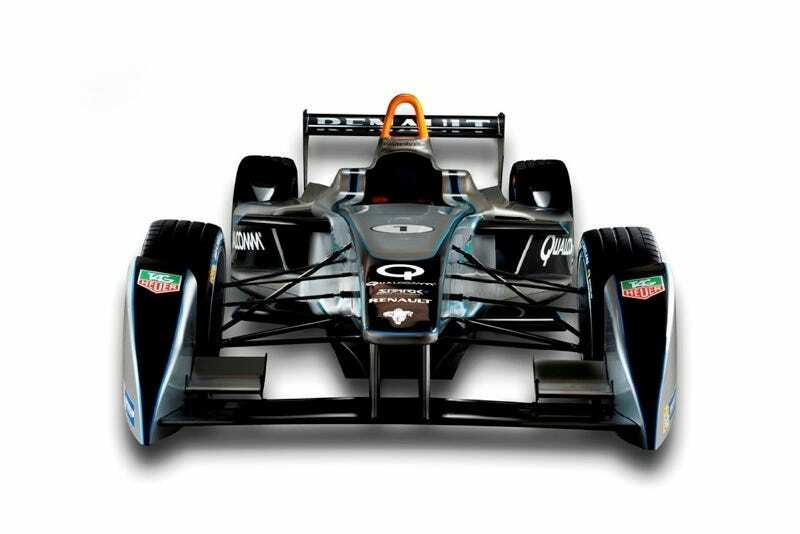 This is the car that will be campaigned by all 10 teams in Formula E for 2014 and apparently only for 2014 as the FIA expects other manufacturers to build faster, more advance electric cars in subsequent years. Oh, and drivers are expected to switch cars in the middle of the hour-long race because the batteries do not have sufficient capacity to last the whole race. This is a silly. In a series that is supposed to develop electric car technology (and isn't meant to be the pinnacle of racing technology that F1 is) it would be best to run a spec chassis to minimize entry costs and let the manufacturers develop the powertrain and batteries from there. Along with that, it should have a swappable battery; A. because changing cars in the middle of the race is stupid and B. because battery swapping is critical to the acceptance and integration of road-going electric vehicles. To expand on that second point: For an electric car successful in the mainstream market, the impact on a consumer's daily life/routine should be minimized. That means getting rid of range anxiety with more battery capacity and the ability to 'refuel' quickly, whether it be through new, faster charging or battery swapping. Until a battery is developed with a range/charging speed approaching that of a regular gas/diesel cars, battery swapping is the best solution to gain mass acceptance and that is why it should be included in Formula E.
So, what do you think of the car and about formula E in general?